Wild Birds Unlimited: Do birds know winter is coming? Do birds know winter is coming? To me, what makes days like these so beautiful is knowing that change is in the air. Every time I load seed into the car at the Wild Birds Unlimited - East Lansing store I look up and soak up the sun. The crisp mornings, bright colored leaves, and excited bird activity all herald winter’s approach. Birds know instinctively that winter is approaching too. Some bug, fruit, and nectar birds migrate south. 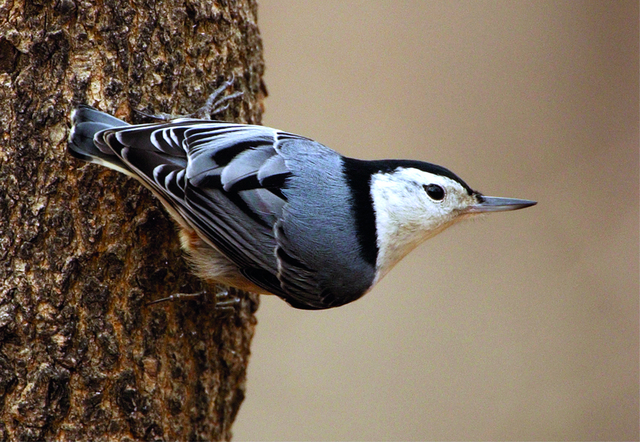 Other birds that over-winter in Michigan may switch their diet to berries, nuts, crab-apples, and seeds. 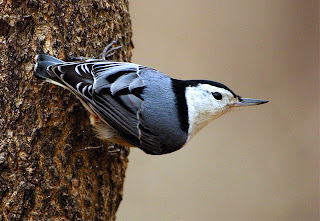 The black and white nuthatch you saw bouncing from under the feeder to the trunk of a tree may be taking seeds and storing it under the tree bark to eat later. 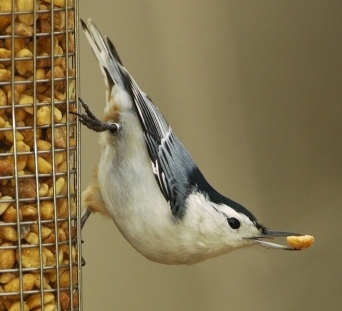 Just like squirrels, some birds like chickadees, nuthatches, titmice, blue jays and woodpeckers will hide or cache their food to retrieve and eat at a later time. They hide hundreds of seeds all over their territory, in a behavior known as scatter-hoarding to keep their stash a secret from competitors and help them survive during bad weather and when food sources are low. Each seed is placed in a different location and to remember where each one is, neurobiologists have discovered that the part of the brain that processes spatial information increases in the birds’ that hoard food. They can find each hiding spot accurately even a month later. 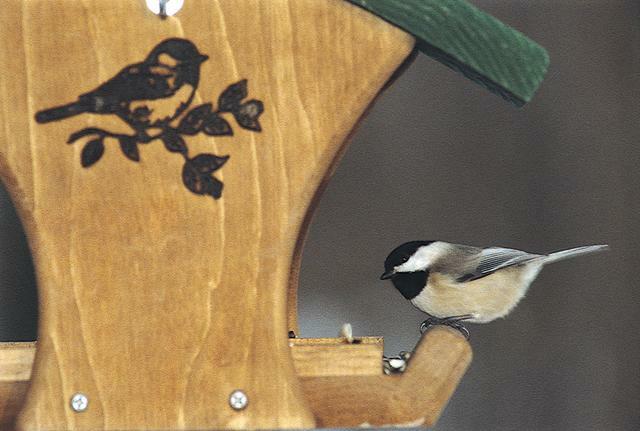 By providing an easily accessible food source, you can help your birds with their caching needs in the fall. Below is a little more detail on some of your favorite birds' caching behaviors. They can carry several nuts at one time in their esophagus. A single blue jay can cache or hide as many as 5,000 acorns up to 2.5 miles from their original source and retrieve them when needed. 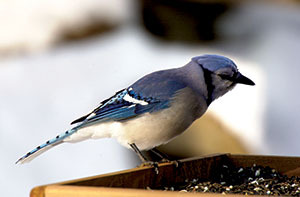 Jays cache nuts by burying them singly in the ground in their territory.